1.One piece construction. Barbed edges provide positive connection. 2.32 degree to 200 degree F temperature range. 3.Barb size is hose inner diameter. 4.The barbed stems create a tight seal on flexible and semi-rigid hose when used with a hose clamp or crimp sleeve or ferrule (not included). 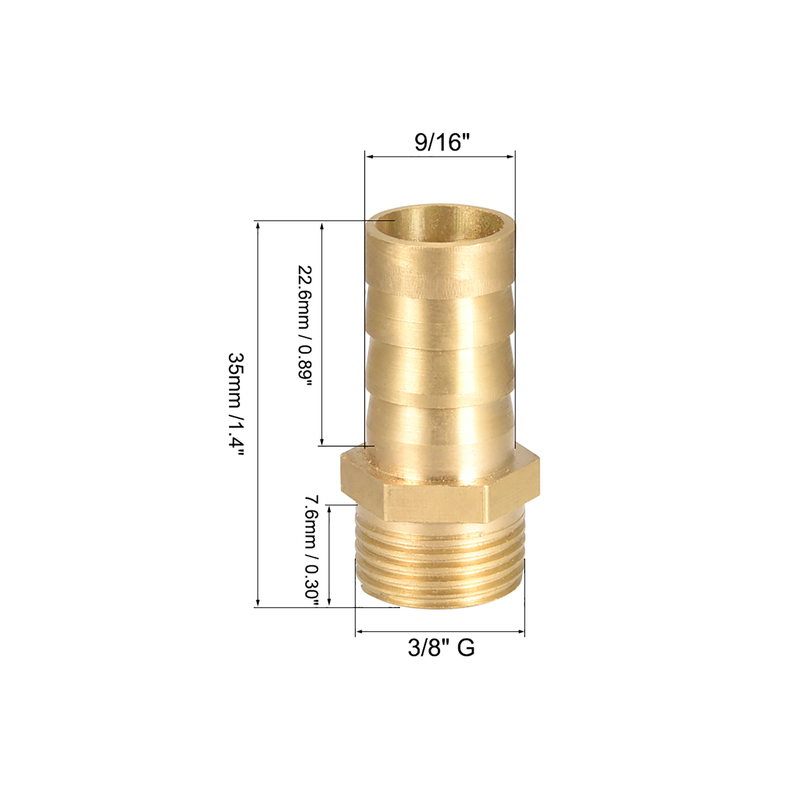 5.This fitting is made of brass for corrosion resistance, ductility at high temperatures, and low magnetic permeability. 6.Commonly used to connect lines for air, water, fuel, oil and inert gases in a quick and simple way. Note: Before ordering, please confirm the right size!